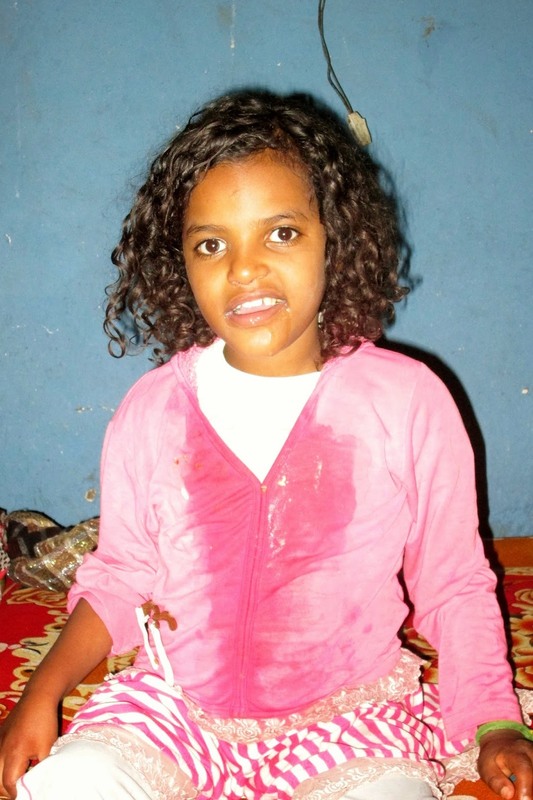 Meheret Lakew is an 11 year old girl suffering from the devastating effects of meningitis. She contracted the disease due to not receiving the vaccine when she was young. It affects her ability to walk, to talk, and to control her bodily fluids. It prevents her from doing things many children would want to do. At 6 months old, she was a healthy baby but sometime after that she began showing symptoms. Meheret lives with her mother, grandmother and younger brother in her aunts house. Her aunt has been gone to an Arab country for some time, which has allowed Meheret, her mother and brother to live in the house. 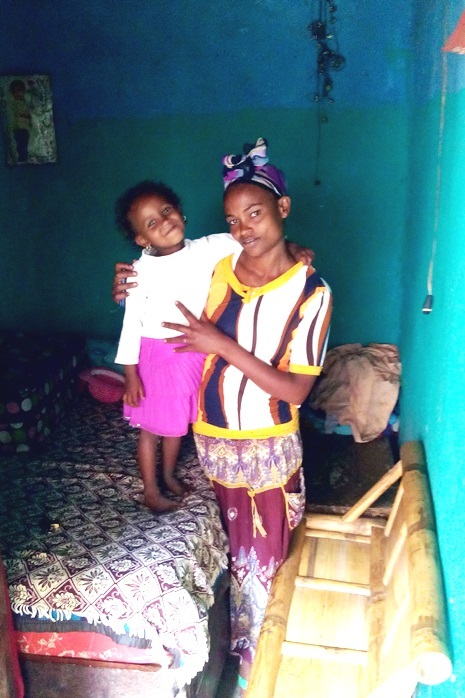 Meheret’s mother does her best to take care of Meheret but with another child and the minimal income she received from selling Injera, it is difficult. Meheret was approved for the BCI sponsorship program two years ago and has been receiving support since. In addition to the normal grain support, Meheret is provided with diapers and physical therapy classes. Meheret is a happy child who attends Zion Church regularly. If you pray around her she will join you in saying “amen,” as is custom for Ethiopians when they are in agreement with what you just prayed. While she has picked up on this customary response, her responses to other things are limited. She can hear you but she cannot speak to you. 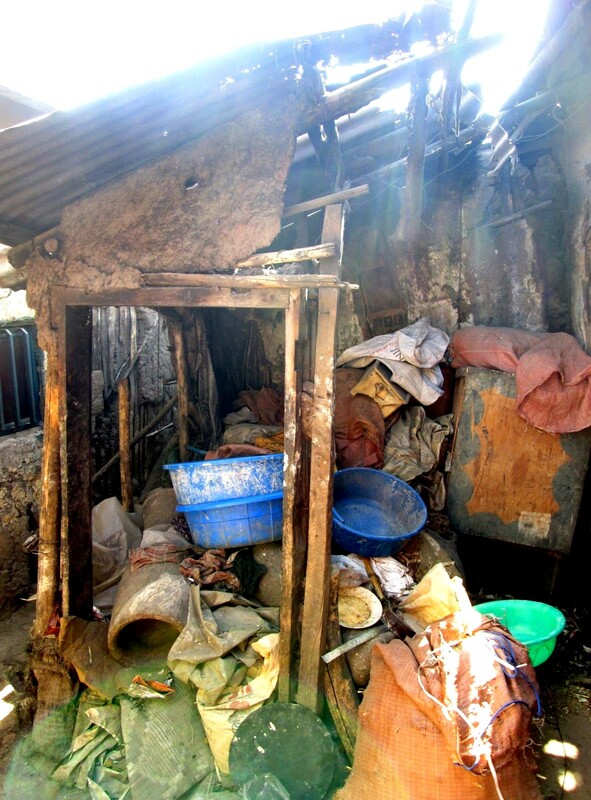 Meheret’s living conditions are better than some but difficult as most. With Meheret’s disability comes extra expenses and care. Unfortunately, some of her immediate family has made negative comments about Meheret’s special needs but her mother is ashamed to give specifics. As of now, 100 birr ($5 USD) of her monthly support goes toward the purchase of diapers needed for the 11 year old. As you can imagine, this is not enough. Her mother uses two diapers a day for her and she goes without at night, sleeping on plastic that covers her bed. This is because she doesn’t have enough diapers throughout the month so her mother is forced to stretch them out. 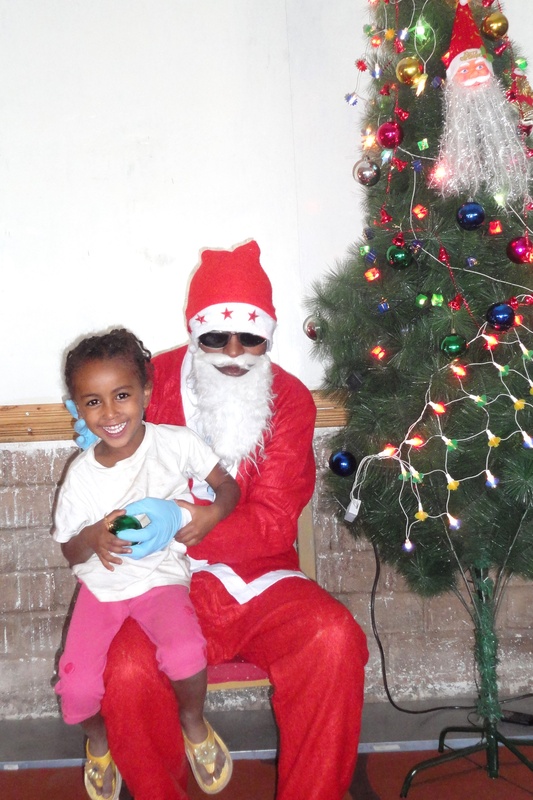 As if caring for Meheret does not bring its own trials, Meheret’s aunt will be returning to Ethiopia soon and will need her home back. As you can imagine, two diapers a day on a child who cannot control herself brings an odor. This is said to be one of the reasons they must leave. There is an old one room space that Meheret and her mother used to live in two years ago. It has been run down and currently serves as junk storage but we have received a donation to do the basic repair for the home so it is livable. This will include putting up new walls, a roof and a door. We are still in need of additional donations to do the detail, finish and floor work on the house. The total needed to finish the house is $491 – the bulk of this includes laying a cement floor for $308 which will make the home a lot more sanitary and easy to clean. 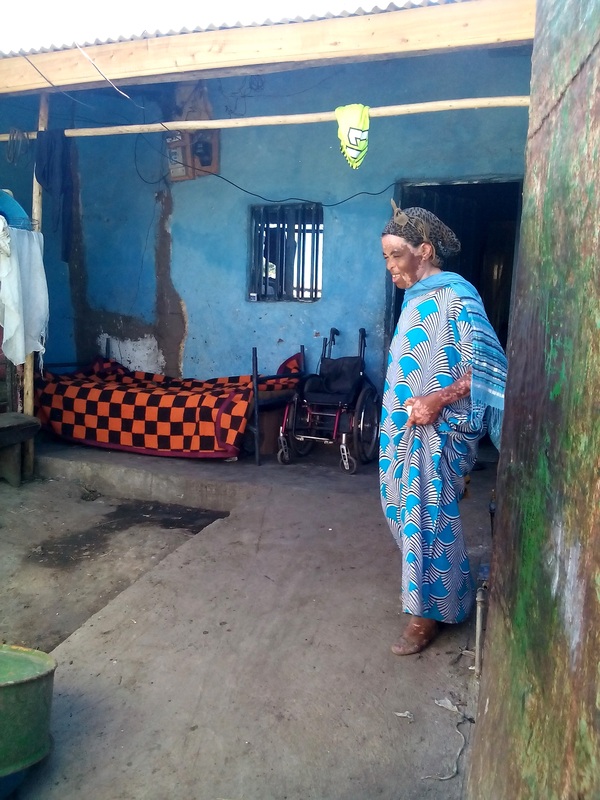 Meheret has made some progress with physical therapy but at this point in time she still requires a wheelchair. Having a wheelchair is a blessing and a curse as many homes, roads and schools in Debre Zeyit are not made handicap accessible. 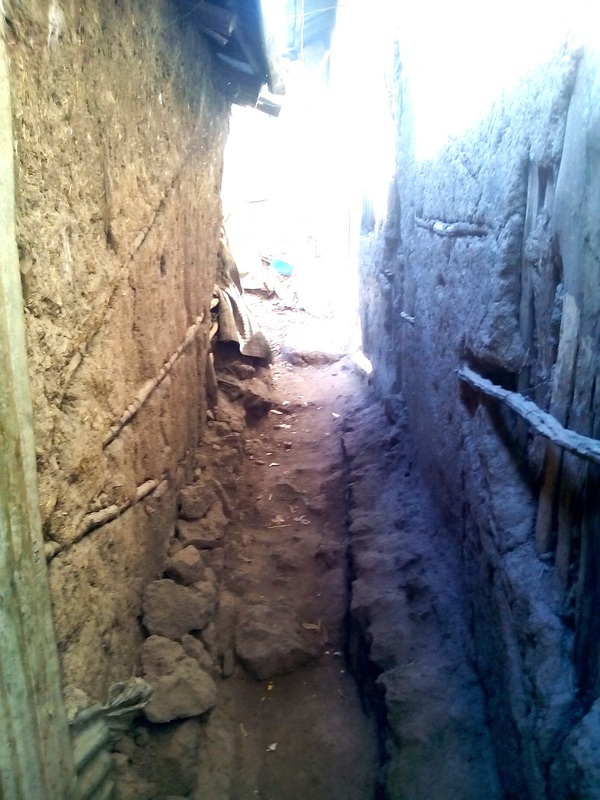 Thankfully for Meheret, the entrance to main house on her compound has handicap access that she can use which will save her mother the struggle of using the back entrance. The back entrance to Meheret’s compound. 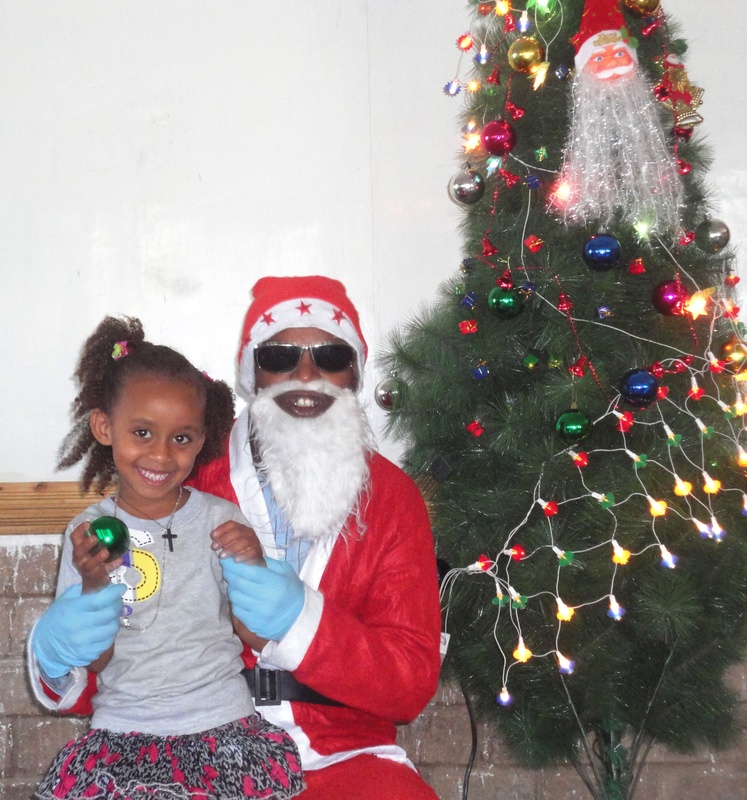 Unfortunately, Meheret does not attend school as most schools in Ethiopia and especially in Debre Zeyit do not accept children with disabilities and there are no special needs classes. This is caused by lack of knowledge, experience and training in how to care for these individuals. Meheret and her mother are in desperate need of support to finish turning this uninhabitable shack into a safe and secure home for them to live in. They are also in urgent need of support for diapers so that Meheret can be kept clean, not only for sanity reasons but also for comfort. Additional diaper support would allow Meheret to wear a diaper to bed, instead of sleeping bottomless on a plastic sheet. It would also save her mother a lot of cleanup work in the morning. Will you lift the burden and help this selfless, humble mother take care of her disabled child by providing a generous supply of diapers and a safe place to call home? We would like to triple Meheret’s diapers, from two a day to six a day, and provide her mother with a 6-month supply. The cost to do this is $90. Are you able to make a diaper donation or a donation towards Meheret’s new home? We can’t do it without you! With the Ethiopian Christmas upon us, celebrations of the birth of our Savior and King are well under way. From hearing the bible story of baby Jesus to ornament making and holiday singing, it’s happening here at the BCI Academy. 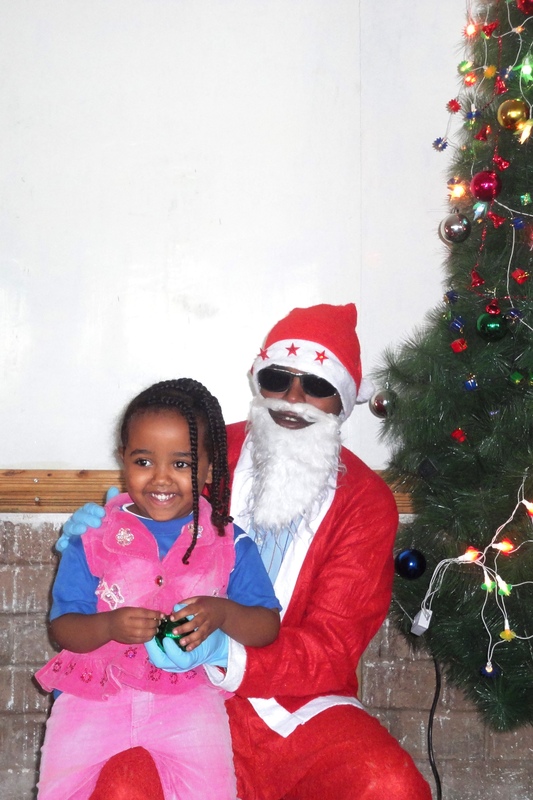 One special event has been the visit of Ababa Gena or as we know him, Santa Claus. 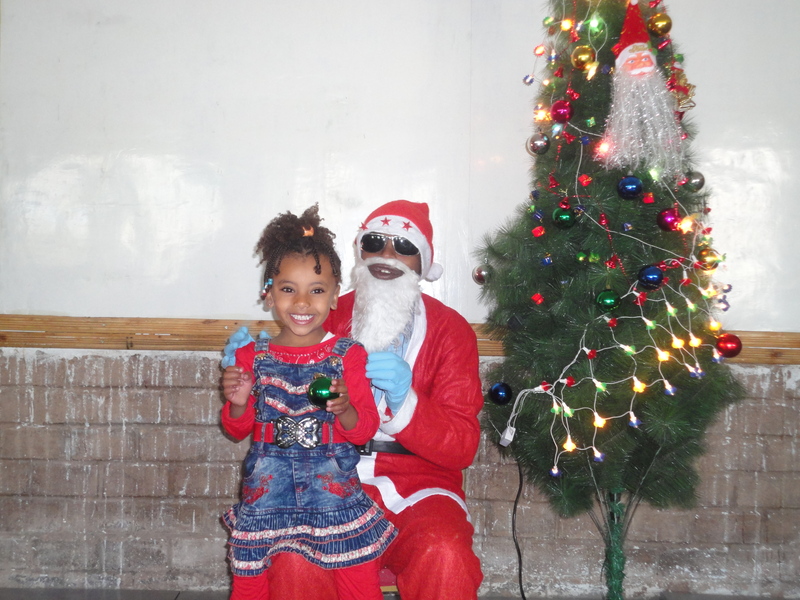 Children from Nursery to Grade 1 anxiously awaited their turn to sit in the jolly Ababa Gena’s (Father Christmas’) lap for a quick photo in the BCI Academy Library. 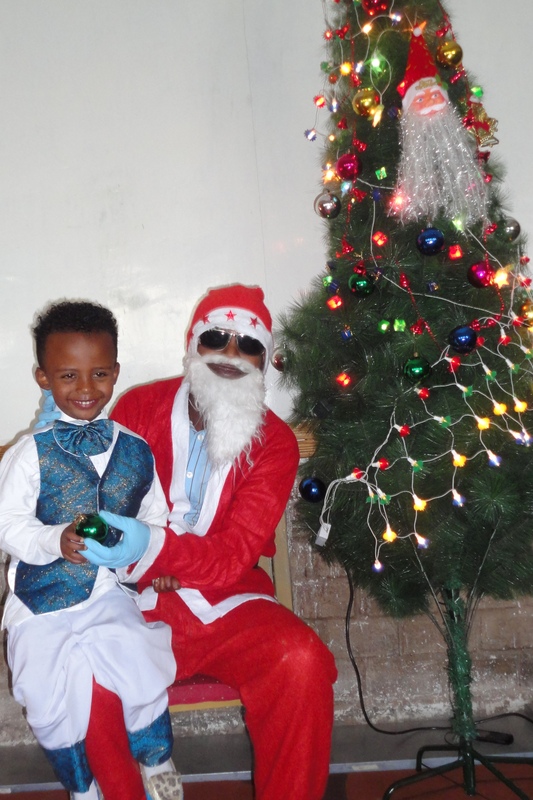 The stage was set with a traditionally decorated Christmas tree, a red chair for our visitor to sit in and a very funny and dramatic Santa suffering a very sore back from carrying toys to boys and girls in the western part of the globe the previous week. 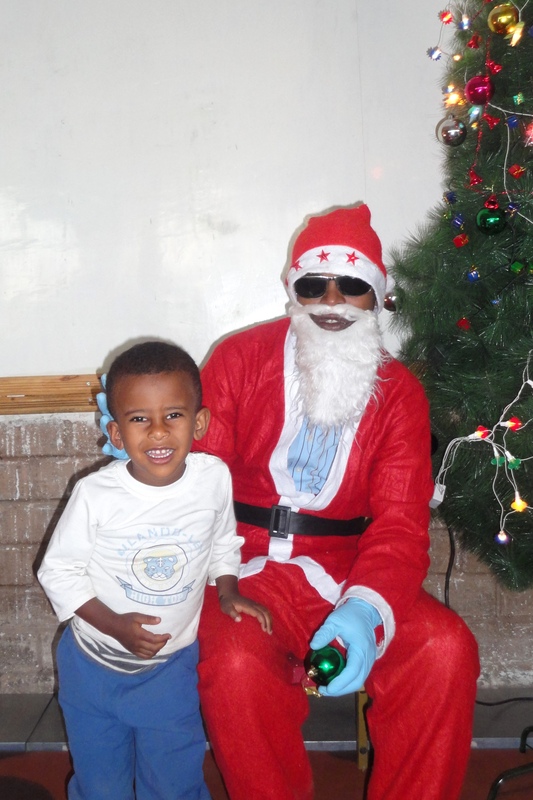 Chants of “Ababa Gena” and songs like “We Wish You a Merry Christmas” could be heard radiating throughout the room. One group even broke out into dance as they waited their turn to hold the green ball ornament and sit in Santa’s lap. The kids were dressed in their best and some were even sent to school wearing traditional Ethiopian clothing. 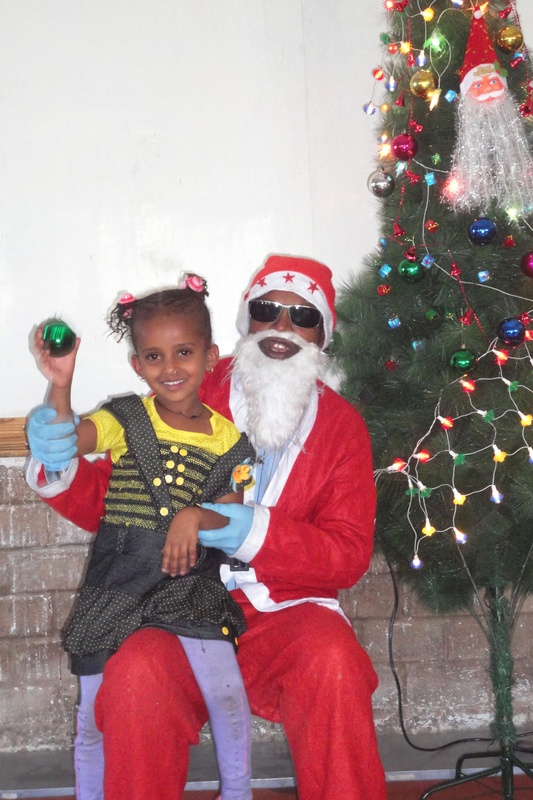 Some of you may remember the heartbreaking and beautiful story of Bereket – a little girl who was born into the Red Light District in Debre Zeyit, living in a brothel with her mother and called “cockroach” after her real name was forgotten. It’s been almost two years since Emebet and Bereket were saved from a life of prostitution in the Red Light District and both are happy and healthy! 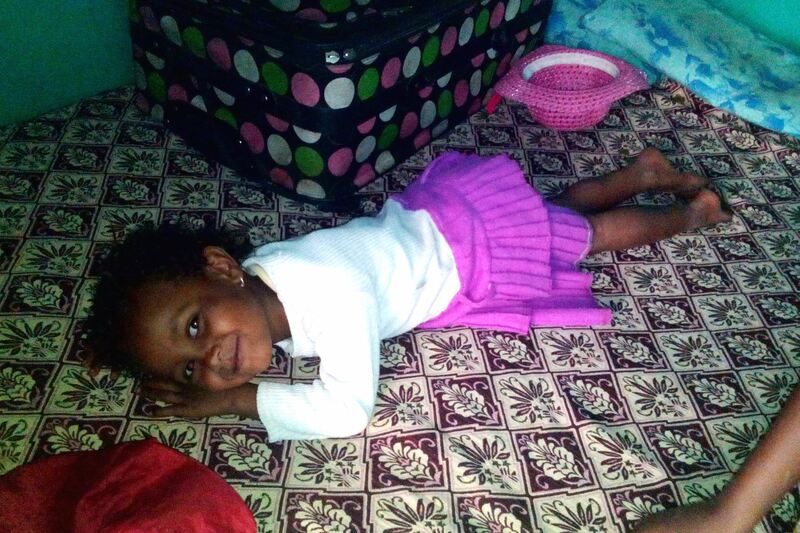 Bereket is a happy, outgoing girl, full of smiles and giggles. She is going to the BCI Academy and they are living in a one room rented house. The support for rent and food is making the difference and enabling Emebet to survive without returning to her previous life. Also, instead of staying at home all day, Emebet washes clothes for people to make some extra money. She has also been registered for the second income generating activity training which will be held in about a month. Hopefully she will be able to have a sustainable source of income this coming year after completing the program. The first 23 trainees are now graduated and they are in the process of setting up the first business. 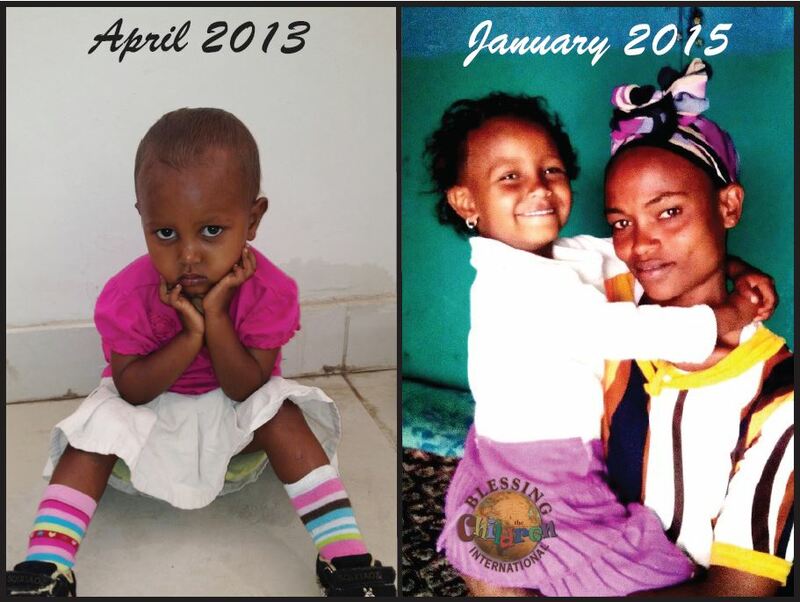 We are so grateful to everyone who has made this new life possible for Emebet and Bereket. Your support makes a difference!